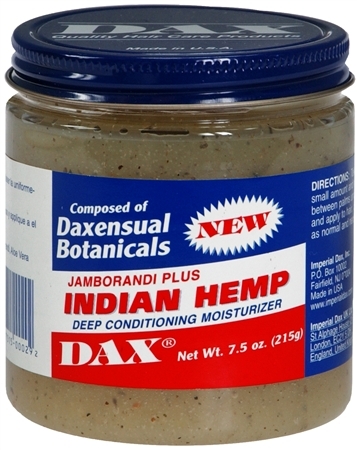 Dax Indian Hemp Deep Conditioning Moisturizer contains a unique oil blend that stimulates your scalp, while soothing and calming damage done by chemical treatments. This Dax conditioner helps lock in moisture and improve texture the way nature intended. Composed of Dax Botanicals.